Content Bloom is esteemed partners of Sitecore and always committed to contributing to the Sitecore community in every possible way. Recently, a Sitecore User Group Conference AKA SUGCON held in Bengaluru, India and our Content Bloom team from India participated in it and shared their experiences. The Sitecore User Group Conference was organized for professionals from south-east Asia by the Sitecore Community. Professionals from Indian Subcontinent and Pacific regions joined the event and made it a huge success. 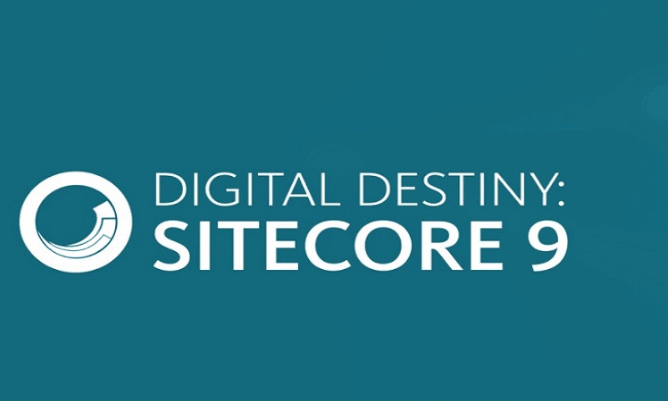 It was a first-ever Sitecore User Group Conference in Asia, So in a way, we witnessed history in making. The day started with the Sitecore 9 Certification Event, where many professionals wrote the exam and became Sitecore 9 Certified Professionals. KEYNOTES were delivered by Pieter Brinkman where he talked about the Sitecore and its evolution and acceptance over the time. He was later joined by Rob Earlam and Akshay Sura and they talked about the latest inclusions (like Habitat, xDB, and Cortex) to Sitecore and Community Building respectively. The next three sessions ran in parallel in different rooms were BASICS OF XCONNECT, INTRODUCTION TO EXM & HOW MARKETING AUTOMATION HELPS, and THE REVENUE ENGINE – OPTIMIZING MARTECH INVESTMENTS TO DRIVE REVENUE and delivered by Alok Kadudeshmukh, Pratik Satikunvar, and Vivek Mehra. Our team attended the sessions based on individual choices. So Alok Kadudeshmukh talked about xConnect, which is basically a service layer sits between the xDB and trusted client devices. Later on, he explained about its API, Architecture, and terminologies followed by a Demo. Vivek Mehra gave a really good session on The Revenue Engine, it was targeted more towards Marketers and Business People. He explained the importance of the customer experience and being relevant to the customers. Be it B2B or B2C marketing, it can affect revenue big time. He also explained how Sitecore is mature enough to provide the best customer experience possible. Again the next three sessions ran in parallel titled ETL USING SITECORE DATA EXCHANGE FRAMEWORK, SITECORE 9 FORM CUSTOMISATION, and SITECORE ON AZURE PAAS by Muktesh Mehta, Vikas Kumar, and Maheshkumar Rajarathinavel respectively. Our team managed to cover the last two sessions out of three. Sitecore Forms module is introduced in Sitecore 9, Vikas Kumar explained how easy is to create and use Sitecore Forms for Marketers. With this, a Marketer can do Reporting, Goal Tracking, Export Data, Apply Fields Validations, and integration with CRM and Email. After talking about different Form Customizations possible, Vikas explained how to Create a Submit Action Class in C#. And with this, the first day sessions concluded followed by some refreshing drinks and a wonderful dinner. Features: The main features of XC include Shopping Cart, Inventory, Orders, Checkout, Entitlements, Pricing, Shops, Fulfillment, Promotions, Catalog, and Payments. Extensibility: XC9 supports Plugin Architecture Pattern for extensibility. Plugins could be developed and hooked into existing core functionality of XC. Accelerated Development: Rob talked about Parallel Site Co-Production over Linear Site Production to produce Accelerated Development. Also, how SXA Storefront could be useful for faster development. SXA Storefront is an OOB Commerce Storefront built on the top of Sitecore Experience Accelerator (SXA), which has more than 40 commerce specific components. Platform Integration: With XC, integration with Sitecore Experience Platforms Capabilities (like analytics, omnichannel and marketing automation) is possible and quite straightforward to implement. SITECORE INSTALLATION FRAMEWORK (SIF) QUICKSTART by Hardeep Bhamra was the second session of the day. It was a quick introduction to Sitecore Installation Framework (and it’s prerequisites), SIF is basically a collection of Powershell Scripts to install and configure Sitecore instances. Later on, Hardeep demoed it as well to show how fast was it to do the installs using SIF. The third session of the day was SITECORE ON THE WAY TO CLOUD by Viktor Kucherov. It was again a session recommending Sitecore on Azure Cloud. Viktor talked about the current cloud offering 1) Microsoft Azure Marketplace 2) Sitecore Managed Cloud and How to choose the right one. He also touched general advantages of having your instances on cloud including Real Time Scaling, Robust Deployment Strategies, and Pay As You Go model etc. The next session in line was TROUBLESHOOT SITECORE LIKE A NINJA by Kiran Patil. He pointed out some common issues in different environments and best troubleshooting practices to identify and fix the issues. Also, how one can create and analyze dump files using Microsoft Debugdiag tool during troubleshooting. In the next couple of sessions, Maxim Savelyev from Sitecore talked about INTERACTING WITH SUPPORT AND COMMON IMPLEMENTATION MISTAKES. And Chris Staley presented about EVER-RISING CUSTOMER EXPECTATIONS where he talked about how Digital Customer Experience had evolved over a decade or so. He took this example of Delta airlines and how they improved their customer experience from Paper tickets to every little information about your travel on your mobile. The last session of the day was IMPLEMENTING XC 9 – HABITAT HOME DEMO WALKTHROUGH by Rhamille Golimlim. It was mostly about demoing the features of CX, as Rob Earlam talked in his earlier session. Other than that he talked about Developing Commerce with Helix and SXA Storefront Modules and how the development could be accelerated using it. Lastly, Pieter Brinkman delivered ENDING KEYNOTES where he acknowledged the contributions for making this event possible and thanked all the sponsors. And with this the first ever SUGCON India was concluded.